The cute idea of cake bunting has not moved to the gifts. 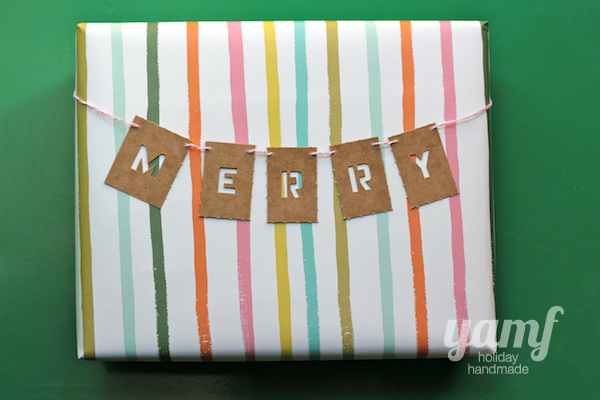 This fun DIY bunting gift tag is a great way to dress up a gift or even just label it with the name of the receiver. They used little stencils, but some pennants made with cardstock and a Sharpie would be just as cute! You can check out how to make a bunting gift topper over at You Are My Fave.